Nutritious, delicious and ready in five minutes! Nutritious, delicious and the best part, it’s ready in five minutes! 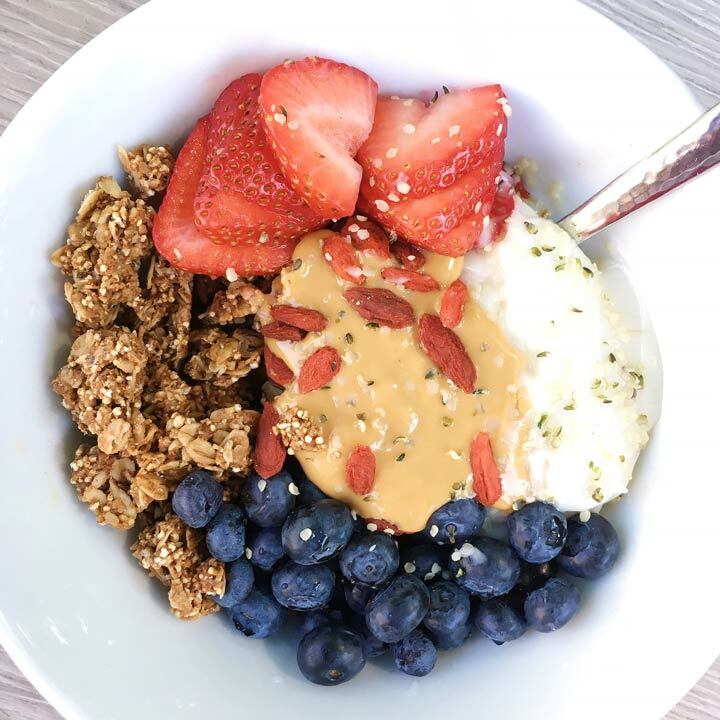 This bowl of goodness makes a perfect snack and is just what I need to kick start a week after a weekend on the go with our busy family life. Thanks to my friend The Dish on Healthy for inspiring me to add a spoonful almond butter to the mix — totally takes it to a new level! SO yummy! Combine granola, yogurt, blueberries, strawberries, a spoonful of Barney Butter in a bowl. Top with a touch of pure maple syrup, hemp seeds and gogi berries!